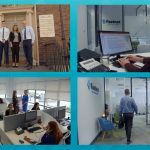 Capventis asked Videozoom to create a Corporate Video to promote the services of a great Irish technology business. Capventis is a specialist business & technology consultancy company based in the UK and Ireland, focusing on the areas of Business Intelligence (BI), Customer Relationship Management (CRM) and Customer Experience (CX). The Capventis Corporate Video was produced on-location at the company’s Dublin headquarters. The company aims to deliver the desired outcomes for their clients and for their customers. The main ingredient is information. Technology brings the two together; enabling transaction, knowledge, analytics and insight. They also develop and deploy completely bespoke applications – from the bottom up – leveraging powerful vendor technologies and cloud Platform as a Service (PaaS) propositions. The best solutions deliver the highest business value. The company work with the business to understand what high value looks like and how to realise it. Their specialism is focused on the relationship and engagement between the customer and the business (CRM/CX). From that, their other specialism is in information, measurement and insight (BI); solutions to capture, explore, transform and turn data into value.